When it comes to young drivers, we think a good defense is the best offense. Most of us can remember the first time we got behind the steering wheel. There’s a lot of adrenaline and excitement, but we know that being a good defensive driver is the best way to stay safe on the road. That’s why Toyota supports programs like kartSTART. kartSTART is a unique driving education program designed to provide young Canadians with a real-world understanding of the physics behind driving a motorized vehicle. Half-day courses are offered with expert instructors for children between the ages of 10 and 16. This is the first driving experience for most program participants. Participants learn by driving go-karts, vehicles that are size and age appropriate, which also demonstrate the most basic features of a car and how to drive one. Parents are also part of this educational day; families experience the Toyota Star Safety System, a suite of six safety features standard in every Toyota vehicle, connecting the go-kart experience with safety developments in road cars. 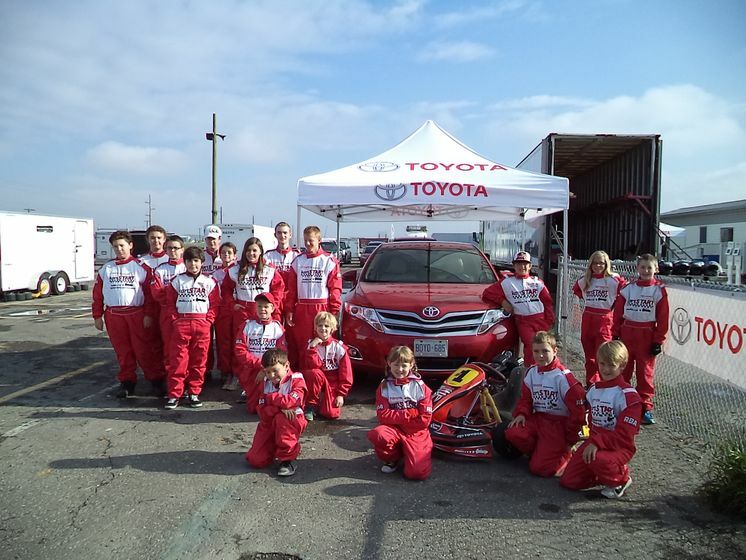 Toyota began funding the kartSTART program in 2011, allowing it to expand nationally. In 2013, more than 1,000 Canadian kids in five provinces participated, getting a taste of how vehicle dynamics work in vehicles that fit them. kartSTART is the only driver education program endorsed by ASN Canada FIA – the governing authority of amateur and professional motorsport in Canada. When our future drivers start out as more educated drivers, the roads will be safer for all.